Perhaps best known for her Newbery Award winning Miss Hickory, Carolyn Bailey is the author of many books and anthologies for children. 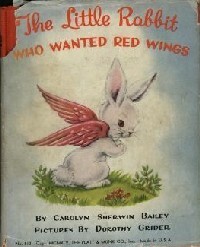 The Little Rabbit Who Wanted Red Wings may not be a best-seller but is perhaps a cult classic. I remember it myself from earlier days; I think my third-grade class made a rather elaborate puppet show out of the story. And the illustrations in the original by Dorothy Grider are fabulous! * Boys and Girls of Colonial Days. A. Flanagan, 1936. Boys and Girls of Pioneer Days. Grosset & Dunlap, 1924. Children of the Handcrafts. E. M. Hale and Co. 1946. The Children's Book of Games & Parties. M.A. Donohue, 1913. A Christmas Party. Illustrated by: Cyndy Szekeres. Pantheon, 1975. Enchanted Village. Illustrated by Eileen Evans.Viking, 1950. Flickertail. Illustrated by Garry MacKenzie. Henry Walck, 1962. Finnegan II: His Nine Lives. Illustrated by Kate Seredy. Viking 1953. Homespun Playdays. Illustrated by Grace Paull. Viking, 1941. Li'l Hannibal. Platt & Munk, 1938. Lincoln Time Stories. Whitman, 1924. Little Men and Women Stories. Whitman, 1930. 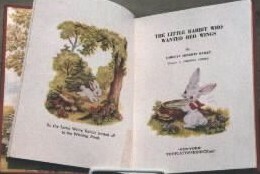 The Little Rabbit Who Wanted Red Wings. Illustrated by Dorothy Grider. Platt & Munk, 1931, 1945. Re-issued by Platt & Munk in 1988 with illustrations by Jacqueline Rogers. Re-issued by Barnes & Noble in 1997 with illustrations by Chris Santoro. Little Red Schoolhouse. 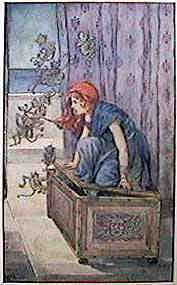 Illustrated by Dorothy Bayley Morse. Viking, 1957. Merry Tales for Children - Best Stories of Humor for Boys and Girls. Platt & Munk, 1943. * Miss Hickory. 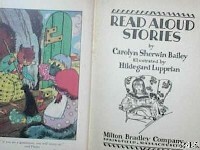 Illustrated by Ruth Chrisman Gannett. Viking, 1946. 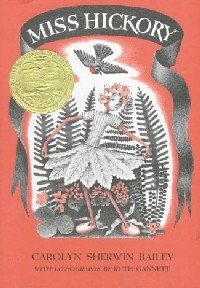 Newbery Award Winner 1947. 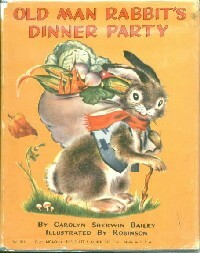 Old Man Rabbit's Dinner Party. Illustrated by Robinson. Platt & Munk, 1949. Pioneer Art In America. Viking, 1967. Stories Children Want. Platt & Munk, 1931. Stories from an Indian Cave. Illustrated by Joseph Eugene Dash. Whitman, 1931. * Tell Me Another Story: The Book of Story Programs. Platt & Munk, 1943. Tops and Whistles True Stories of Early American Toys and Children. Viking Press, 1937. * What to Do for Uncle Sam: A First Book of Citzenship. A. Flanagan Company, 1918. The Wonderful Days. .Whitman, 1932. The Wonderful Tree and Golden Day Stories. Illustrated by Joseph Eugene Dash. Whitman, 1925. The Wonderful Window and Other Stories. Illustrated by Katherine R. Wireman. Cokesbury Press, 1926. * Broad Stripes and Bright Stars. Illustrated by O'Malley Power. Milton Bradley, 1919. Firelight Stories. Milton Bradley Company, 1907. Flint: The Story of a Trail. Milton Bradley, 1923. For The Children's Hour / Book Two. Milton Bradley, 1920. Friendly Tales. Milton Bradley, 1923. In the Animal World. Milton Bradley, 1924. Merry Tales for Children. Milton Bradley, 1928. Once Upon a Time Animal Stories. Illustrated by Power O'Malley. Milton Bradley, 1920. Plays for the Children's Hour. Illustrated by Hildegard Lupprian. Milton Bradley Company, 1929. Read Aloud Stories. Illustrated by Hildegard Lupprian. Milton Bradley, 1929. * Stories Children Need. Milton Bradley, 1916. * Stories of Great Adventure. Illustrated by Clara Miller Burd. Milton Bradley, 1919. * Wonder Stories: The Best Myths For Boys And Girls. Illustrated by Clara Miller Burd. Milton Bradley, 1920.